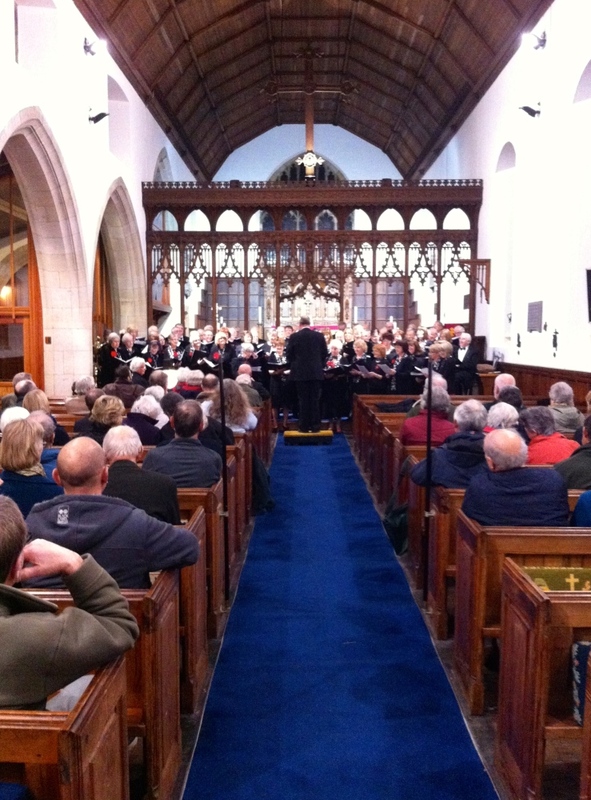 On the evening of Friday 28th November 2014 over 150 people packed into St Leonard’s Parish Church Loftus for a concert by the Dalesmen Singers and the Castleton Ladies Singing for Pleasure Choir. The concert was the fourth annual concert by the two choirs in St Leonard’s Loftus and was very well supported by members of the community and visitors from further afield. The concert was a joint event with Loftus Town Council and concluded with the serving of a “Soup Supper” in Loftus Town Hall immediately after the concert.